This smoothie is absolutely heavenly and it’s an easy recipe to boot. As it’s a fruity smoothie, you can even have it as a healthy breakfast if you’re on the go. 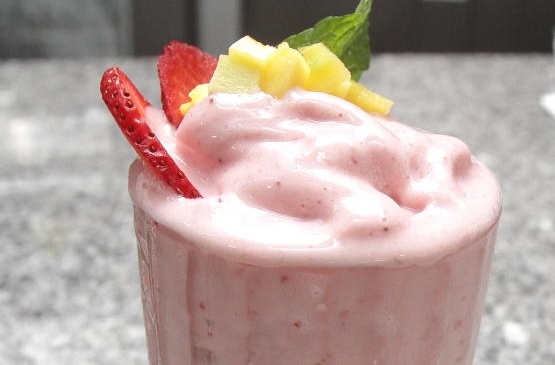 Pour frozen strawberries and bananas, vanilla flavoured milk powder, cold water, vanilla yoghurt and ground almond into the blender.